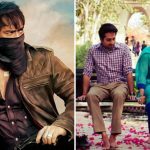 Historical action drama Baadshaho and romantic comedy Shubh Mangal Saavdhan were released last week and still have good hold over the audience in second week across the country. Despite having several new offerings in opposite, both the existing movies are heading smoothly at box office on a better note. Superstar Ajay Devgn, Emraan Hashmi, Vidyut Jammwal, Ileana D’cruz, Esha Gupta and Sanjay Mishra starrer Baadshaho is the story based on a gold heist set against the backdrop of 1975 during the time of Emergency. It is the second collaboration of director Milan Luthria with Ajay & Emraan after 2010’s Once Upon A Time In Mumbaai. In the opening week, on an overall good note the movie registered the business of 64.14 crores, that included 43.30 crores of weekend and 20.84 crores of weekdays from 2800 Indian screens. Then in the second weekend, it did the business of 7.73 crores with 2.10 crores on Friday, 2.60 crores on Saturday and 3.03 crores on Sunday. Now Baadshaho is running in weekdays and asusual getting lesser audience in theaters than before. With 31% of drop than Friday, it minted the amount of 1.45 crore on Monday and 1.15 crore on Tuesday. On the next day i.e. Wednesday, it again raked the business of 1.15 crore and raised 13 days total collection to 75.62 crores at domestic box office. On the other hand, year’s 7th hit Hindi movie so far Shubh Mangal Saavdhan is a quirky love story which is being liked by all the viewers. In the opening week, it did the business of 24.03 crores, that included 14.46 crores of weekend and 9.57 crores of weekdays from 1400 screens across India. In the second weekend, it not only performed better than new releases but also from Baadshaho and collected the amount of 7.83 crores with 1.54 crore of Friday, 2.95 crores of Saturday and 3.34 crores of Sunday. Now the movie is running in weekdays but still performing on a good note. 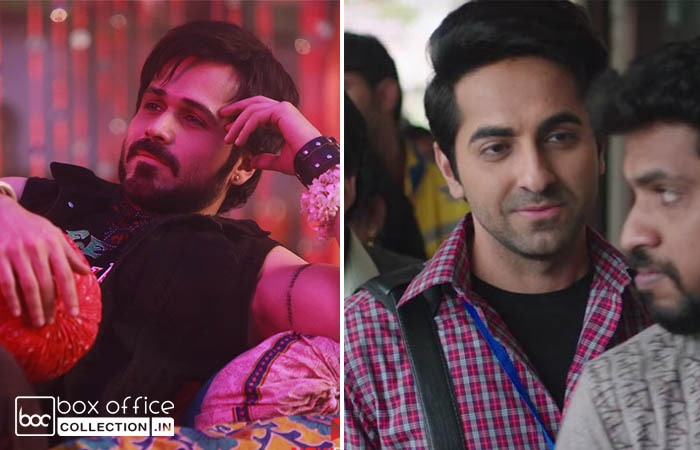 With 32.5% of drop than Friday, Shubh Mangal Saavdhan minted the amount of 1.04 crore on Monday and 1.02 crore on Tuesday. On the next day i.e. Wednesday, it collected 0.93 crore and raised it’s 13 days domestic total to 34.85 crores.